Weighing scales are used in almost all aspects of our life. A weighing scale can be defined as a device used to measure how much and object or a mass weighs. Weighing scales are used for measuring the weight of different physical objects in the industrial, agricultural, commercial and scientific fields. They are also sued to weigh people. The type of scale to be used in a given field is determined by the heaviness of the objects to be weighed, and by the degree of accuracy we want to have. Different weighing scales are used for different objects. Technological advances have allowed scale manufacturers to improve the accuracy of these devices and to integrate some of the finest technological features in modern weighing scales. Even if scales generally fall within two categories: analog and digital; the variety of weighing scales available in the market is absolutely astonishing. This post seeks to present the different types of weighing scales and to highlight the features and uses of each of these scales. For the sake of consistency, scales in this post are grouped under two categories: analog scales and digital scales. Spring Scale is also referred to as Newton Scale because it measures weight in Newton. It is one of the oldest forms of scales in the world. It derives its name from its structure with a spring at one end of the scale and a hook at the other end. Spring scale is one of the many types of weighing scales with a simple mechanism employed. There are two types of spring scales. The first type of scale compresses when pressure is exerted on it, such as the spring bathroom scale. The second type stretches in response to the gravity of the mass being weighed. Such scales are usually used in stores and supermarkets. Spring scales make use of Hooke’s Law Principles, and through the extent through which the string is stretched, they are able to obtain a reading of the weight. For scales that compress on the other hand, pinion and rack mechanisms are employed in order to convert the dial into a reading for the weight of the object or the person placed on top. Also, spring scales are adjustable and could be re-calibrated to accommodate an extra object which is needed to contain the object which the weight is being obtained. This kind of scale is one which is not widely known, given that it is not used in common day to day applications. The reason for this is simply because it is only used for measuring materials of great weight, such as cranes. These make use of a pneumatic force to detect and determine the weight of an object. A force is applied to a diaphragm and is then transmitted through a hydraulic system to either a digital sensor, or a dial, in order for weight to be effectively determined. Having said that, this particular intricate technology is expensive and complicated to use, and therefore need supervision from professionals to make sure that it is used the right way. This is one of most accurate, yet least used scales. In this kind of gauge scale, a beam is utilized, and the deflection which happens once an object is placed on top is obtained with the use of a strain gauge. The capacity is then dictated by the maximum deflection of the beam. This still is a digital method, given that the weight of the unknown object is determined through digital calculations. This is great for use in large-scale applications, such as cars, trucks, and other vehicles. This is the most common kind of digital scale known to people, given that some of us may have it in the comfort of our very own homes. It is a machine specifically for weighing, and employs electronics and other types of digital technology. 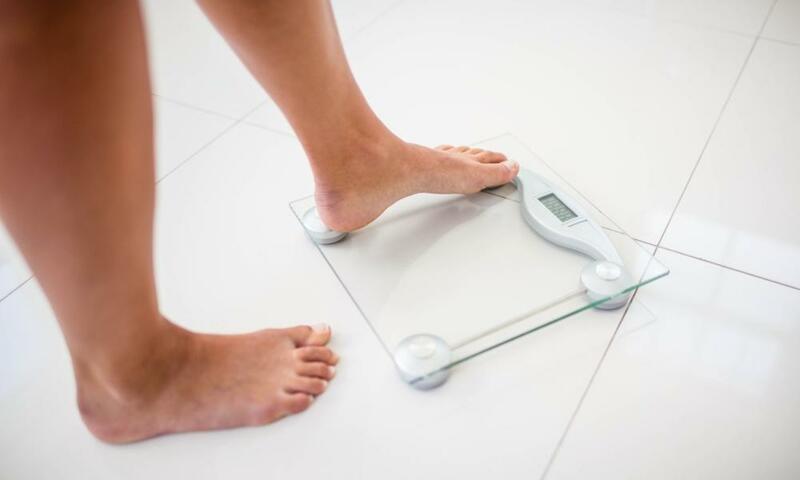 While most bathroom scales measure only the weight, other advanced types are also capable of measuring mass, lean mass, Body Mass Index (BMI), and some models could also be integrated with phones for a more accurate measurement and to effectively and efficiently monitor several aspects of a person’s health. BMI scales are usually compatible with the different mobile fitness apps, and thus help you keep track of your weight loss. These scales are common in places other than homes, including supermarkets, bakeries, groceries, and other departments that may sell foods of different sorts. Among the different types of weighing scale, this is one which could be made primarily for retailing purposes. Some of these scales could be programmed in such a way that it could print price tags corresponding to the type of food, the quantity, and the price, usually per kilogram instantaneously. A slightly more modified scale is also used in laboratories, with a similar surface made of either metal or plastic, and are very sensitive, usually able to measure up to 5 decimal places, which is a feature not found in the mechanical type of scale. Weighing scales are, therefore, present everywhere in our life. There are different scales to weigh different types of things. While many of these scales are designed for industrial and commercial uses, some others are used on a daily basis in our bathrooms and kitchens. The accuracy of the scale depends on how advanced it is in terms of technology and calibration. For instance, not all bathroom scales are accurate. For instance, the regular needle scales that have been around for decades only give you an estimation of your overall body weight. Technological advances have made it possible to design scales that give you the composition of your weight. Such scales are called BMI (short for Body Mass Index). They determine the amount of fat, bones and muscles in your body, allowing you to track your weight loss while making sure that you are burning the fats away from your body.